With three days of Starting 11 contests this week, it’s time to get the site and community Gameweek 34 daily tips. Late last Friday, I made the decision to sell Mo Salah and it paid off in the short-term, with his replacement Dele Alli grabbing an assist. However, I’m absolutely bricking it not having Salah this weekend. Bournemouth have kept just one clean sheet this year and the golden boot race is hotting up. I expect Salah to start and fire against this weak defence. Liverpool are on a high and he’s a worthy captain pick in just one game, for your Gameweek 34 daily fantasy team. It’s Liverpool once again for the NEED pick, with Sadio Mane getting the nod in the middle of the pitch. He was heavily involved in the goals for both Champions League games and his home form is strong. Alongside Mane, Mahrez and Willian are in my FPL team and my Starting 11 team for the weekend. Both are due a goal after a dry spell, and despite away games, the defences they face are short of clean sheets. 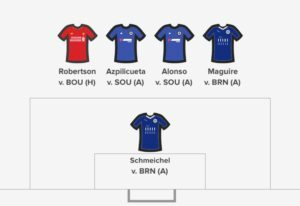 Once more, I’ve got Chelsea and Leicester defenders in my FPL squad, but I’ve gone for the premium options from their respective teams in Starting 11. Burnley and Southampton aren’t known for their goal thereat so clean sheets are likely. Azpilicueta has had some attacking returns recently and Marcos Alonso is certainly due some. Maguire is the biggest attacking threat from the Leicester back line. Now I can see Bournemouth grabbing a goal at Anfield this weekend as they normally do score, but Liverpool have kept a clean sheet in their last three home games in all competitions. Robertson is playing brilliantly right now and has a few assists to his name too. Expect him to grab another in this one. 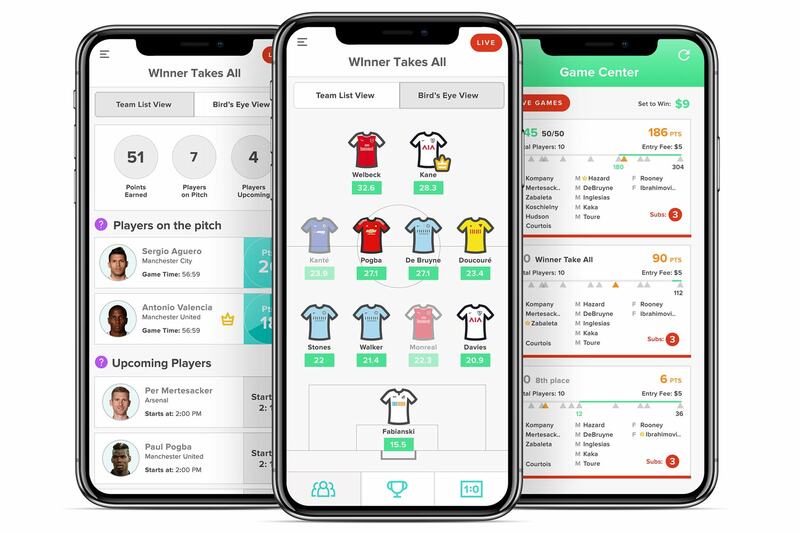 WORLD CUP FANTASY FOOTBALL: Before you go – whilst the Fantasy Premier League season is still 5 weeks from its end, the 2018 Russia World Cup is now looming! Keep an eye on the Live Blog over the next few days, for all of the community Gameweek 34 Daily Fantasy tips.